The team stow away their valuables and kit themselves out with the appropriate gear, ready for the adventure that lies ahead. Located near the wreck of a concrete pile driver, the way into the mine turns out to be a ventilation shaft sealed with a steel plug. All of the other possible entrances are similarly blocked or concreted over. The message is clear: do not enter. And with good reason. 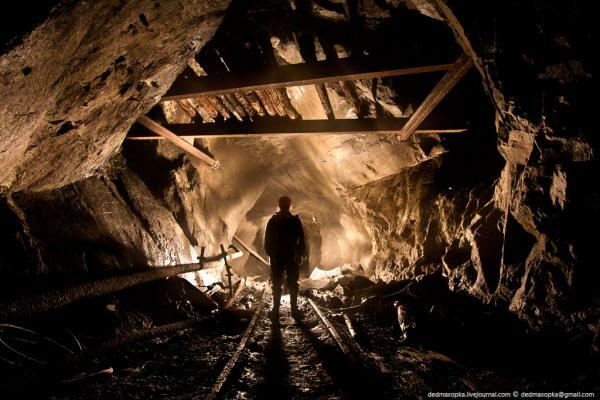 Abandoned mines are no place for inexperienced sightseers. Hidden dangers lurk around every dark corner; indeed, they linger in the very air itself.